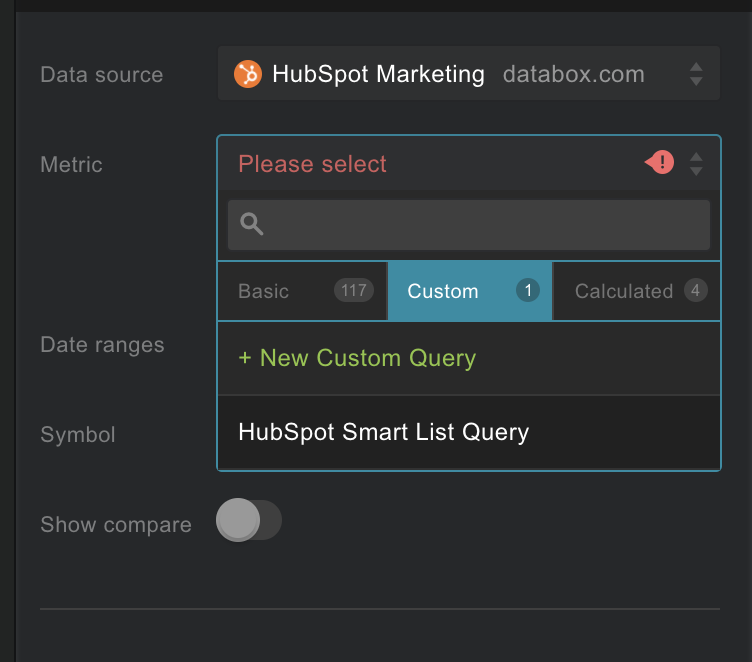 The HubSpot Marketing Query Builder was built for the sole intention of improving our ability to pull Smart Lists into Databox. While it is a very simple Query Builder, you must understand how the “Data Choice” field works. Please note that we can only start pulling in data from the day when the Smart List was created. 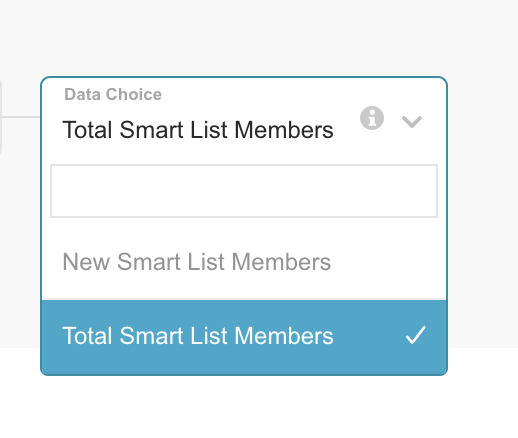 Total Values (Total Smart List Members) of contacts that are in your smart list during the specified date interval. Daily Values (Net New Smart List Members) of contacts added or deleted from your smart list during the specified date interval. Skip contacts already in the smart list: Contacts added to the smart list prior to the custom query being created could skew new contact data. By selecting this option, you instruct the system to count only new contacts added to the smart list after the Custom Metric's create date. Navigate to the "Data Manager" section and choose "Query Builder"
Click the green button in the top right corner "+ New Query"
Select the HubSpot portal your Smart List is in. Determine whether you’d like to track total contacts or new contacts. Select this in the "Data Choice" drop down. Name your Custom Metric and click Save. You can now access this from the Designer by selecting “Custom” as the Metric column and choosing the corresponding Smart List name.